The poems in Elizabeth Hazen's debut collection, Chaos Theories, spring from a unique collusion of science and art in one poet's heart and mind. In these often elegiac poems, Hazen explores many forms of love — between children, parents, siblings, friends, and lovers. In powerful poetic language and structure, loss is explored, and survival becomes another form of understanding, a way of seeing ourselves and others not as guilty or innocent, good or bad, but as complex, sometimes thwarted beings who are always striving for more wisdom, more empathy, more light. Hazen's language is elegant, her point of view unflinching, her voice mature and warm. Science in these poems is both information and consolation, a way of untangling chaos, of seeing more clearly and cleanly. Hazen is a poet who understands that we are all searching in various ways to make order of our lives and loves, and who crafts poems that can aid us in that search. Elizabeth Hazen is a poet and essayist whose work has appeared in Best American Poetry 2013, Southwest Review, The Threepenny Review, The Normal School, and other journals. She teaches English at Calvert School in Baltimore, Maryland. 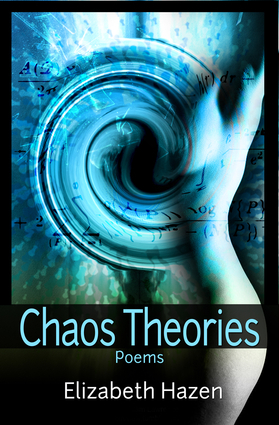 Chaos Theories is her first full-length poetry collection.